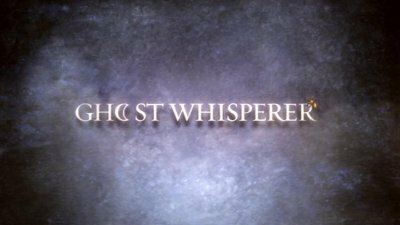 CBS's drama Ghost Whisperer, which first aired in 2005, stars Jennifer Love Hewitt in a television series inspired by real-life medium James Van Praagh and paranormal investigator Mary Ann Winkowski. The show is about a woman who has had a special gift since she was a young girl. Her gift is the ability to communicate with earthbound spirits, or ghosts, that for one reason or another have been unable to crossover into the afterlife. For more details about the series, refer to DVD Talk's review of season one. In the close of Ghost Whisperer's first season, Melinda was put to the test when a dark force interfered with the crossing of earthbound spirits into the afterlife. This force appeared in the form a man with wide brim hat. He used his dark powers to cause a massive accident, which caused Melinda's closest friend Andrea to lose her life. In the beginning of season two, Andrea is stuck in the void between the living and the dead, unwilling to let go because of guilt and fear. The evil man who caused the events is at the source of Andrea's confusion. He tries to take her soul, which Melinda races against her own emotions to prevent. This storyline also has details about the mysterious dark figure's background. The beginning of the second season also sees a couple of cast changes/additions. With the departure of Aisha Taylor, who played Andrea Marino, new characters are added to the cast. 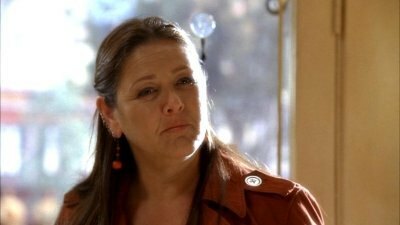 Camryn Manheim plays Delia Banks. She is a single mother; her son's name is Ned (Tyler Patrick Jones). In the early part of the season, Delia is a real estate agent with a shop across the square from Melinda. Eventually, she quits her unsatisfying job and takes a job working at Melinda's shop. Delia because a voice of reason and compassion for Melinda, replacing Andrea's friendship. However, Melinda keeps her special gift a secret. 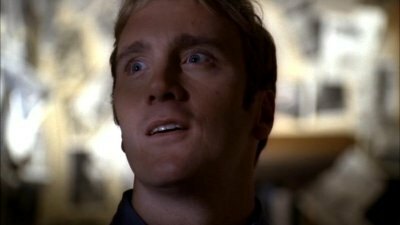 Jay Mohr plays another new character, Dr. Rick Payne. Payne is a university professor who specializes in the paranormal and occult. He reluctantly helps Melinda by giving her advice on difficult crossovers, to understand why some earthbound spirits are unwilling to let go. Towards the end of the season, a new villain is introduced. His name is Gabriel Rance (Ariel Serricchio) and he is similar to the Wide Brim Hat Man. Like Melinda, Gabriel is has the ability to communicate with the dead. However, he does not try to help earthbound spirits crossover into the afterlife. Instead, he attempts to steal their souls to harness their essence for evil. This character and relevance to the big picture is an exciting development for the series. In general, the second season of Ghost Whisperer is just as strong as the first. The show's real strength is Hewitt, and she continues to be fabulous in her role as Melinda Gordon. The "cases" she takes on this season are more emotional and engaging. The only downside is that there is not a bigger push on the big picture, the battle between good and evil. The good news is that, as previously mentioned, this story arc is touched upon with a new villain and a couple appearances of the Wide Brim Hat Man. One of the season's strong episodes puts the loving relationship between Melinda and Jim to the test. In "Love Still Won't Die", Melinda is visited by an earthbound spirit with an alternative motive. He manipulates Melinda for his own agenda and later it is revealed she has a close tie to the man. He is an old flame from college who has been obsessing over her, despite having been married to another woman and now dead. It sparks some unsavory, but familiar feelings in Melinda. "The Woman Of His Dreams" is another interesting episode where Jim gets involved in a crossover. He is haunted by a supermodel who died while undergoing plastic surgery. He works with Melissa to reconnect the earthbound spirit with her sister and finally crossover. Other strong episodes include "A Vicious Cycle", while camping, Melinda is visited by a spirit who left her husband and daughter; she wants Melinda to help them reconnect, "Dead To Rights", Melinda has a difficult time communicating with a spirit who she later learns is in a coma and her family is contemplating taking him off life support, which is a terrible burden and painful for both Melinda and the family, "Mean Ghost", Melinda meets the ghost of a high school cheerleader who believes one of her peers is responsible for her death, and "Delia's First Ghost", Melinda reveals her secret to Delia when her deceased husband comes to her. The remaining season two episodes continue with a great tempo, providing mystery, fantasy, and drama with a touch of feel-good as Melinda, Jim, and her new friends help wandering souls move onto the afterlife. However, while the episodes have engaging and entertaining storylines, I still would have enjoyed seeing more developments related to a bigger story arc. There are a few episodes that assist in it and I liked that, but I want more! Overall, Ghost Whisperer's second season is another successful endeavor. This season continues with high quality episodes about the paranormal that end leaving you feeling good. Hewitt is excellent in her role. And while season two has several changes in its cast, Hewitt continues to be the primary reason it is successful. In the end, Ghost Whisperer is must-see TV. 1. Love Never Dies: Melinda has been trying to help Andrea's ghost cross over. But when a dark spirit won't let her, she consults an expert, Professor Rick Payne. 2. Love Still Won't Die: The guy who broke up with Melinda years ago when she revealed her gift to him is now haunting her. And Melinda meets a new friend, realtor Delia Banks. 3. Drowned Lives: Melinda and Jim befriend a couple whose house is haunted by the ghost of a little girl who drowned, and who's waiting for the return of the father who left her. 4. The Ghost Within: New store employee Delia buys some ornaments that a quiet ghost wants Melinda to examine. It's only later that Melinda realizes he's autistic. 5. A Grave Matter: On Halloween, Melinda is visited by the ghost of an author who claims he is in the wrong grave, while Delia is visited by a ghost looking for her handbag. 6. The Woman Of His Dreams: Jim is haunted by a beautiful model who died having plastic surgery, and who may be trying to warn her younger sister not to follow in her footsteps. 7. A Vicious Cycle: While camping with Jim, Melinda encounters a mother who died in a snowstorm, who is determined to protect the daughter she supposedly abandoned. 8. The Night We Met: Melinda worries that the ghost of a man in a fire may now be an arsonist. She's also worried that Jim forgot the anniversary of the night they met. 9. The Curse Of The Ninth: A brilliant musician finds himself surrounded by two ghosts: his critical composer father, and his old bandmate who died in a plane crash. 10. Giving Up The Ghost: In order to get back at his former coach, whom he holds responsible for his death, the spirit of a baseball player inhabits the body of a team's star pitcher. 11. Cat's Claw: Melinda considers telling Professor Payne her secret now that a ghost has followed his colleague back from the jungle, where he was left for dead. 12. Dead To Rights: The spirit of a man in a coma contacts Melinda about the pain he is in, watching his wife in a legal battle with his parents to take him of life support. 13. Deja Boo: A young man who died fears he is going to be reincarnated as the baby of Melinda's girlfriend, so he tries to stop the pregnancy. 14. Speed Demon: The ghost of a street racer has it in for his old girlfriend, now a racing champ. He believes she killed him in a race one year ago-and he wants revenge. 15. Mean Ghost: The vengeful spirit of a cheerleader is attacking her former squad one by one. But Melinda learns that another girl at school may have wanted her dead. 16. The Cradle will Rock: A jewelry store employee who was killed, and is the only one who knows where stolen money hidden, orders Melinda to get a message to his wife...or else! 17. The Walk In: The corpse of a former high school quarterback is possessed by another ghost, a wheelchair-bound boy who wants to pass as a popular kid at their reunion. 18. Children Of Ghosts: Melinda turns to a dog whisperer for help when Homer the dog returns. And a teenage girl haunted by a threatening spirit comes to stay with Melinda and Jim. 19. Delia's First Ghost: As Delia starts dating other men, her son Ned is haunted by a ghost, but Melinda's not sure how to handle the situation without telling Delia about her abilities. 20. The Collector: Melinda meets Gabriel, a man with similar abilities, and discovers his connection to Professor Payne's wife. Later, she learns he has a different plan for the dead. 21. The Prophet: A Prophet Ghost shows visions of disaster to Melinda, who grows concerned for Delia's safety. And Melinda's fellow ghost whisperer Gabriel is back. 22. The Gathering: Melinda and Professor Payne desperately try to figure out the mythological clues left by the Prophet Ghost, who predicted that the spirit world is getting stronger. The video in this release is given in an anamorphic 1.85:1 ratio widescreen color format. The picture quality is quite good. It suffers from a slight grain, but detail remains to be sharp and clear. However, there are moments when the picture suffers noticeable compression artifacts. Overall, the picture is relatively clean and should look good on big screen televisions. The audio track in this release is in English 5.1 Dolby digital surround. There is also an English 2.0 Dolby digital stereo track. In general, the sound quality is very good and it provides an audible and clean track. The dialogue is usually a little flat while music and sound effects come off rich and vibrant. Additionally the 5.1 track is somewhat dynamic and occasionally uses the surround sound capability with music and ambient sound effects. There are no subtitles included, but the release has support for closed captioning. Audio Commentaries: are included for four episodes. They include: "Love Never Dies" with John Gray and Kim Moses, "Children Of Ghosts" with Kim Moses, "The Collector" with Ian Sander, and "Mean Ghost" with Ian Sander. Crystal Ball Mind: is an interactive "game" playable via your DVD player. Basically, you pick a number, do some math, associate the number with a character from the show, and the game presents the character associated with your number. This extra is similar (does the same math trick) as "Mind Reader" in the Heroes: Season 1 box set. A Conversation With The Living (23:16): is a featurette with cast and crew (David Conrad, John Gray, Jennifer Love Hewitt, Camryn Manheim, Jay Mohr, Kim Moses, Ian Sander, and James Van Praagh); the topic of discussion deals with season two. They speak about the storylines, character development, change in tone, and hopes for the season. Ghostly Visions (11:18): is a featurette focused on lead make-up artist Kandace Westmore. Joining her are Eric Johnson, Kim Moses, Ian Sander, and Clinton Wayne. The content follows the process of creating the ghostly, dead appearance of select season two earthbound spirits. Grandview Graveyard: is a sequence of back stories for select ghosts as told by the writers and the producers. The list includes Dennis Hightower (3:14) from "The Ghost Within", Anna Fowler (2:46) from "A Vicious Cycle", Kyle McCall (2:31) from "Love Still Won't Die", Jared (3:53) from "Curse Of The Ninth", Emily Morrison (3:14) from "Drowned Lives", and Adam Godfrey (3:56) from "A Grave Matter". Melinda's Closet (15:42): is a featurette with lead costume designer Joseph Porro. 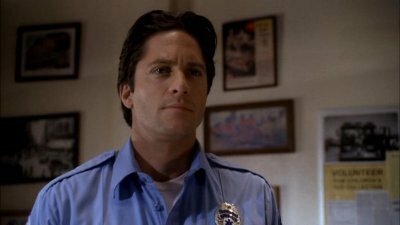 He, along with David Conrad, Jennifer Love Hewitt, Kim Moses, and Ian Sander, talks about the work and effort put into picking out Melinda's unique look. The Other Side - Trailer (0:57): is a trailer for the spin-off series Ghost Whisperer: The Other Side. "The Other Side" is made up of webisodes, which are short online episodes. The series shows life on the other side. The Other Side - Webisodes (24:49): is a collection of eight webisodes that were produced in 2007 for "The Other Side". The Other Side: Behind The Scenes with Star Mark Hapka (3:40): is a short behind the scenes featurette with "The Other Side" lead Mark Hapka. Jennifer Love Hewitt Speed Painting Video (4:14): is an animated sequence of a computer drawing of Jennifer Love Hewitt coming to life. Tarot Cards: A small pack of limited edition Ghost Whisperer tarot cards are included. Ghost Whisperer is an exhilarating feel-good television drama about a young woman with a special gift. Her gift is the ability to speak with the dead. Specifically, she speaks with earthbound spirits -- troubled souls who have unfinished business with the living. The show is played out very well and has excellent writing, with a topnotch performance from lead actress Jennifer Love Hewitt. I really enjoyed the series during its first season and I enjoyed the show even more during its second. The show's weakest link (in both seasons one and two) is the lack of story arcs and too much episodic content. The show has some great potential and as it ends in season two, season three looks to have some solid storylines about good versus evil with the introduction of an evil ghost whisperer. Regardless, season two of Ghost Whisperer is highly recommended.